There are lots of fun places you can take your dog for the day. 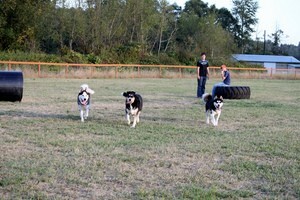 A dog park is one of the most popular options. Here’s one way to train your dog to come when called. #3 Small dog parks are best for a small dog’s first visit to the dog park. If you have small dogs like me (I have 2 Min Pins), try to find a dog park that has a small dog section or special hours just for small dogs to play. 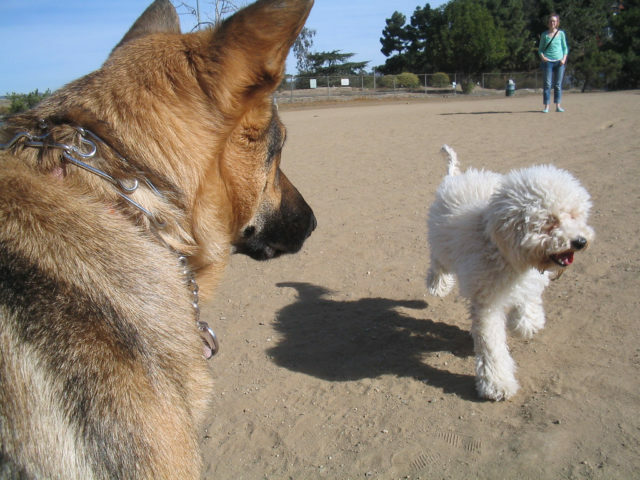 Many large dogs like to play rough and lunge at all dogs, including the smaller ones, so this will keep the little ones safe — especially on your first visit to an off leash dog park. There are also small dog meetups, so you can find others with small dogs in your area! Check out this list of the top 10 dog parks in America. See why dogs benefit from socializing with other dogs off-leash. Here’s what dog parks are usually like and what you can expect. Which Dogs Should Go To Dog Parks & Which Dogs Shouldn’t?